The design of a pleasant and ideally original space must take into account the characteristics of the environment, the needs of use and the style choices based on the requests of those who live there. It does not necessarily involve only furniture but also decorative elements that can be made to measure. Our experience and the reasons for our success are based on a professional rule that follows a precise, scrupulous sequence of interventions: Planning and total planning of the realization. Preliminary verification, made by one of our representatives, of the exact dimensions of the space to be furnished. 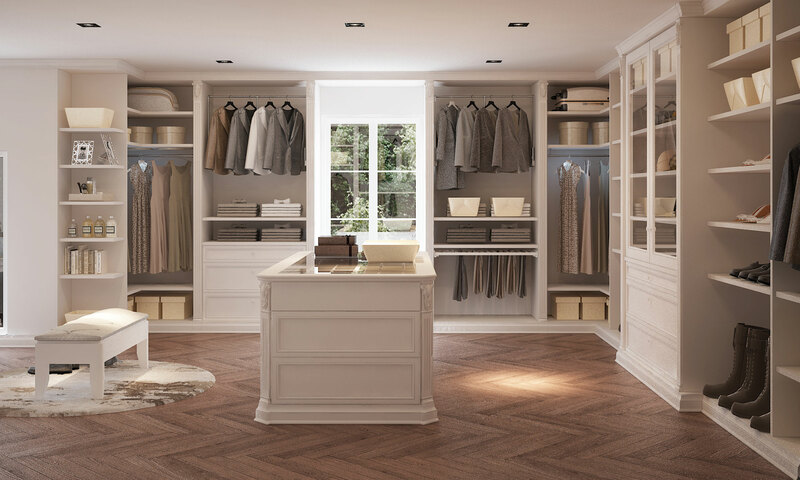 Design of the wardrobe project also with customized elements, following the specific needs of the customer. Based on the design we produce the wardrobe or the cabin. All under the supervision of one of our technicians who will also take care of the installation. A rich and exclusive supply chain for a superior quality product, guaranteed by Cosy.